Oh! I think your weeds must be the best then. As far as I know none of my neighbours have horses or cows. If they do then they are doing a good job at hiding them. My weeds are covered in 50cm's of snow. I thought everyone still had snow? Not in the south of England... our temp average 10-12 C right now but we have our usual afternoon drizzle rain. our temp average 10-12 C right now but we have our usual afternoon drizzle rain. Are you living in a micro-climate, Wiz? Maybe he's been poping a few too many over ripen black olives. If you want weather try having a look at Winnipeg's live cams over the next 30 hours. 70km winds and 7cms of snow with -34c windchill. I do get out and about, more often than you think, going walking in the woodlands nearby or going to meet my wife at her work and walk back home etc. Like I did last night at 10 PM, when the temp was around 7C and we felt no cold at all. and Spaky's and yours.... http://news.bbc.co.uk/weather/forecast/25? You know very well you are more up North than Surrey...... but maybe you haven't yet acclimatised back to the UK weather and still live in the Cyprus climate! 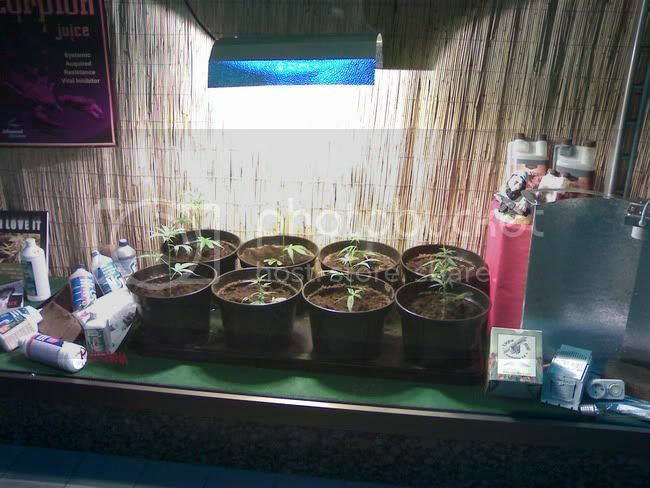 Weed as seen in for sale in a shop in one of the Benelux countries.